Do the impairments of mental test performance actually have implications for real-life functions? 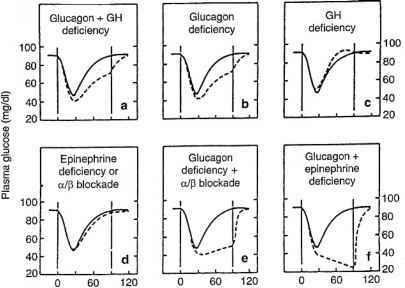 In addition, are the mental changes during hypoglycaemia a result of impairments in basic brain functions? One common, important and potentially dangerous area of real-life functioning is driving (see Chapter 14), which involves many cognitive abilities including psychomotor control and divided attention. Cox and colleagues (1993b; 2000) employed a sophisticated driving simulator and had people 'drive' on this during controlled hypoglycaemia using a glucose clamp technique. With very mild hypoglycaemia (blood glucose below 3.8mmol/l) the diabetic drivers committed significant driving errors, and during hypoglycaemia the patients often drove very slowly, possibly using a compensatory mechanism to avoid errors. Despite this, more global errors of driving were committed and about half of the participants, despite demonstrating a seriously impaired ability to drive, said they felt competent to drive irrespective of their low blood glucose! It cannot be stated with certainty that the findings obtained in a driving simulator will apply to real-life driving. 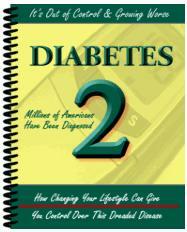 However, studies that examine the practical cognitive effects of hypoglycaemia are invaluable and more are required. • visual movement detection (the ability to spot brief movement in a pattern). This means that the ability to see the environment changes in important ways during hypoglycaemia. Visual acuity is preserved, as tested by the ability to read black letters on a white background. However, most visual activity is not like that; many of the things we see happen quickly and in relatively poor light. When the level of contrast falls, or discriminations must be made under pressure of time, visual processing is impaired during hypoglycaemia. However, at about the same degree of hypoglycaemia, the ability to distinguish one colour from another does not appear to be impaired (Hardy et al., 1995). Speed of auditory processing also appears to be impaired by hypoglycaemia, and the ability to discriminate the loudness of two tones is disrupted (McCrimmon et al., 1997; Strachan et al., 2003). This suggests that the ability to understand language may be compromised during hypogly-caemia. However, despite there being disruption to central nervous system processing during hypoglycaemia, no disturbance has been detected in peripheral nerve conduction (Strachan et al., 2001). If basic information processing provides a fundamental limitation to how well the brain is operating, then at a higher level of function, attention is important in carrying out a number of cognitive functions. A detailed study of a number of different aspects of attention during hypoglycaemia found that the abilities to attend selectively and to switch attention as necessary both deteriorated (McAulay et al., 2001a; 2005). In turn, attention is necessary in order to learn and form new memories. There has now been detailed study of the different aspects of memory during acute, insulin-induced hypoglycaemia (Sommerfield et al., 2003a; 2003b; Deary et al., 2003). Most memory systems are disrupted during hypoglycaemia. However, some are especially badly affected: long-term memory, which is the ability to retain new information after many minutes and much distraction; working memory, which is the ability to retain and manipulate information at the same time; and prospective memory, which is the ability to remember to do things (as in a shopping list) (Warren et al., 2007). Indeed, the ability to perform one tricky working memory task was obliterated during hypoglycaemia (Deary et al., 2003). That is, no matter how good the person was at performing the task during euglycaemia, the same task could not be done during moderate hypoglycaemia. Further information on hypoglycaemia and cognitive function is available in a review by Warren and Frier (2005).